We are featuring a breakfast recipe that could be a perfect idea for brunch with the family. 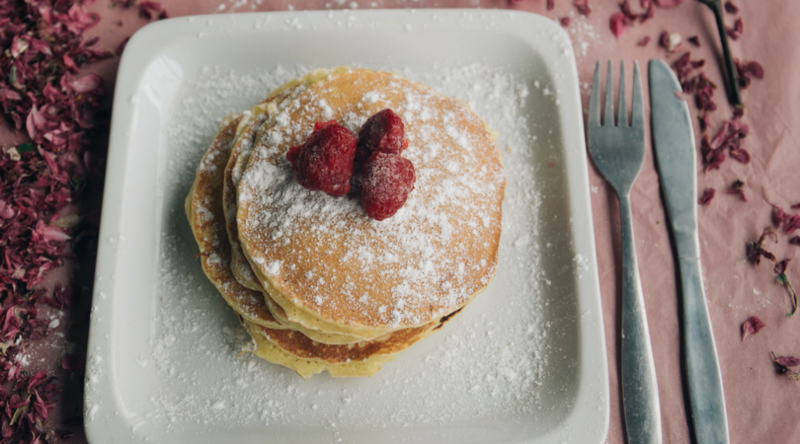 Remember you can always top your pancakes with fresh berries and a light dusting of powdered sugar to make it feel indulgent! Mix dry ingredients together very well. Mix wet ingredients together very well. Mix the wet and dry ingredients until just combined. Let rest for 30 minutes in refrigerator. Pre-heat pan on medium heat and ladle 3 oz. of batter. Let cook until small bubbles start to form and edges dry. Flip and cool until brown on that side.